“McConnell documents. 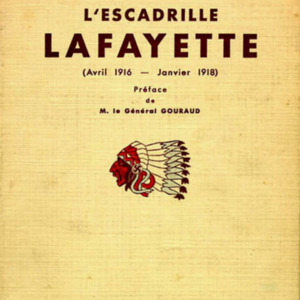 "L'Escadrille Lafayette". One of the first histories, published in 1939,” University of Virginia Library Online Exhibits, accessed April 26, 2019, https://explore.lib.virginia.edu/items/show/4811.